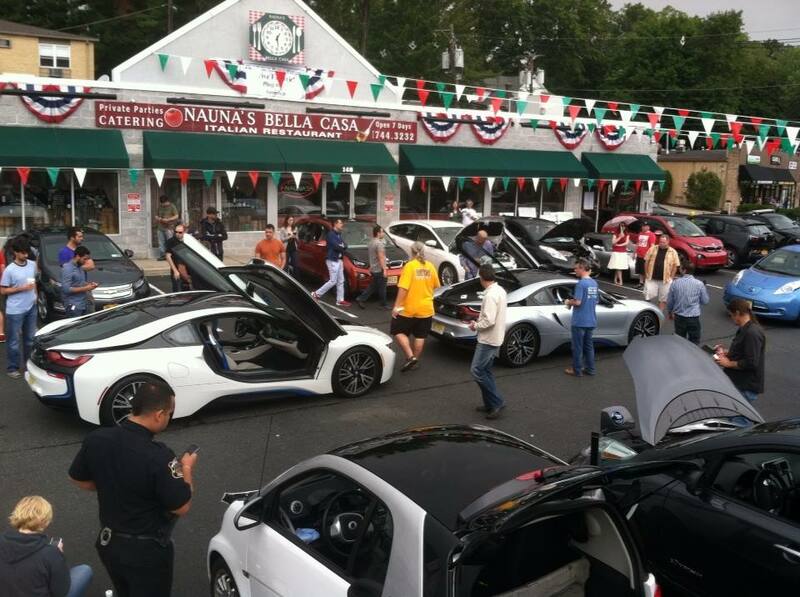 We had a nice event with 22 electric vehicles in attendance. (12 i3's, 2 Model S, 1 Roadster, 2 LEAF, 1 Volt, 1 RAV4 EV, 1 Mercedes B-Class ED, 1 VW eGolf and 1 Zero Motorcycle. 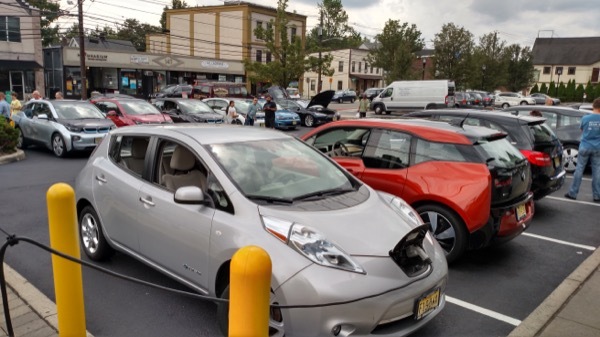 We also opened for the first time, the very first public CCS DC Fast charger in New Jersey, which I just installed on the property to go along with the two level 2 EVSEs. Come join us in Montclair, NJ for another NDEW celebration. This picture was taken at our 2014 event. Registered attendees report 546,021 electric miles driven.